Robert Rodriguez is looking to bring 'Heavy Metal' back to the big screen. The filmmaker announced at Comic-Con that he had acquired the film rights to the long-running and iconic sci-fi and fantasy comics magazine and was developing a new animated feature film. The magazine, which debuted in the United States in 1977, brought to America work by European artists such as Moebius, Alexandro Jodorosky and Enki Bilal, as well as featuring homegrown talents like Bernie Wrightson and Richard Corben. The magazine was based on the French comics magazine 'Metal Hurlant', and was adapted into an adult-oriented animated feature film in 1981. 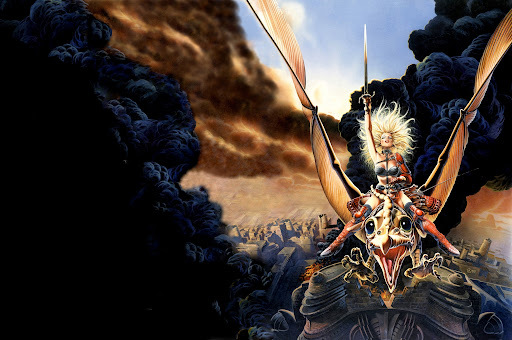 A second animated feature based on the magazine, 'Heavy Metal 2000', was released in 2000. I quite like the 1981 movie, but the second effort in 2000 was pretty poor. I hope Rodriguez does the comic justice.